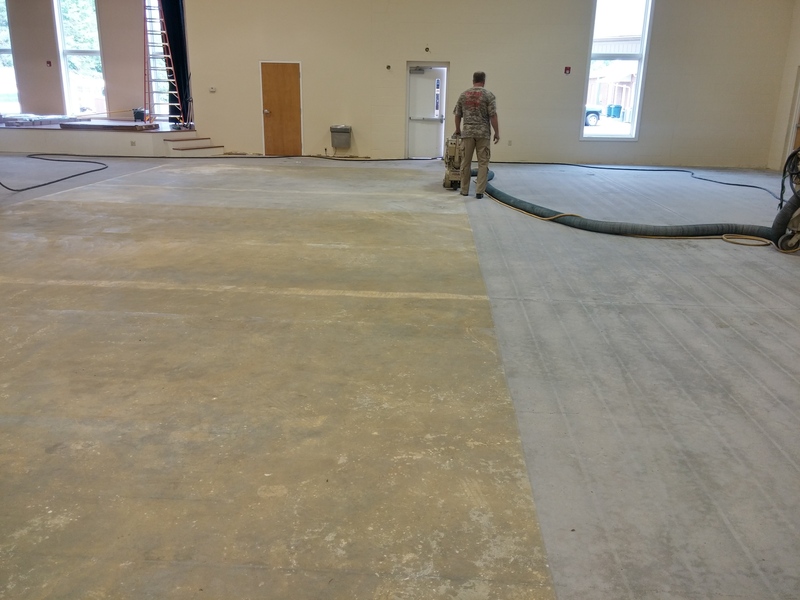 From Shotblasting to Diamond Grinding, we are your one stop shopping for floor preparation. Pro Prep Shot Blasting & Diamond Grinding has been in business in Nashville for nearly a 30 years, serving the eastern half of the U.S.
To better serve you, we are conveniently available to complete your project. Our office hours are Monday thru Friday, 8 a.m. to 5 p.m. Our crew works until job completion. That is why we have gained the reputation of getting the job done with quickness and quality. Everyone working on your contract is an employee of Pro Prep Shotblasting. We don’t hire subcontractors because we like to train our workers the Pro Prep way. We take their skills to a higher level by providing them with Pro Prep certification. If Pro Prep Shot Blasting is your contractor, you know you’re receiving quality work from quality people. We have years of experience exclusively in corporate buildings for every commercial need. This is your assurance of total corporate surfacing know-how. Please go to our Services page to learn more! We serve the Eastern U.S. and travel within approximately 700 miles outside Tennessee. Everyone working on your contract is an employee of Pro Prep Shotblasting. We don't hire subcontractors because we like to train our workers the Pro Prep way. We take their skills to a higher level by providing them with Pro Prep certification. If Pro Prep Shot Blasting is your contractor, you know you're receiving quality work from quality people.